Gritty followup to 2015's acclaimed SICARIO that focuses attention on agents Graver and Alejandro as they wage war on the cartels in Mexico. The story isn't as tightly written as the original film but Brolin and Del Toro are excellent. Up and coming actress Isabela Moner is good as the daugther of a drug lord who winds up kidnapped and later protected by Alejandro. As sequels go it's solid enough but it is hampered by the fact there's no central villain per se so the stakes are not clearly defined. Given a subject with so much depth and breadth, a more balanced action and narration could have sealed the deal. I felt like the impact became minimal because of being too technical. But overall, still a good watch. No posts have been made on this movie yet. 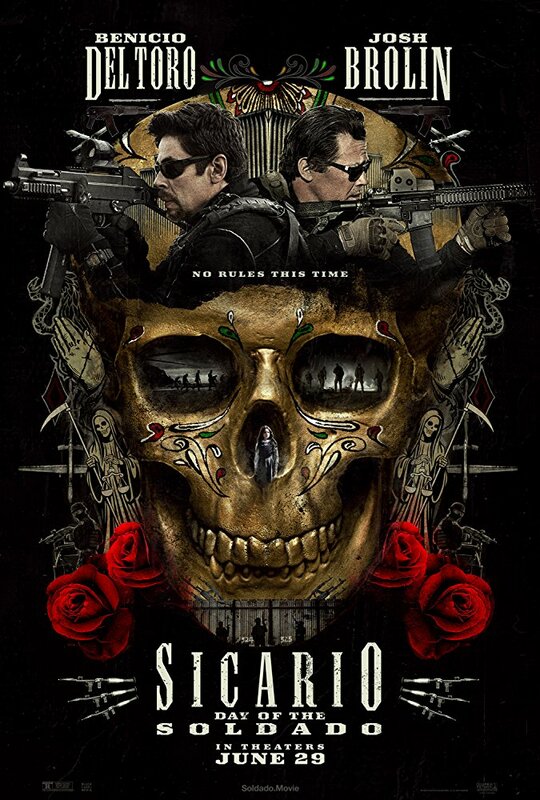 Be the first to start talking about Sicario: Day of the Soldado!